The class system. It exists even within the oft-complex world of digital audio. To feed a DAC over USB with a standard PC or Mac is to be seated in Economy. We journey from A to B but with some degree of (DAC- and system-dependent) audible compromise: greyed out tonality and neutered micro-dynamics compared to high/er end streamers and servers. Why? The hardware and software found in and on a consumer-grade PC or Mac is often optimised for various combinations of speed, performance, usability, image quality and battery life. Apple and Dell care not for the sound quality-spoiling electrical noise that might spill from their device’s USB port into a DAC. Offering us a seat in Premium Economy – and an upgrade on cattle class – are Florida’s Sonore. Their disarmingly light, credit card-sized microRendu network streamer insists we put the DAC-polluting PC or Mac elsewhere – think: spare room, kitchen or study – and let their streamer handle binary hand-off to the DAC. Unlike the average HP, Dell or Mac, the microRendu’s circuit has been designed to minimise electrical noise and, therefore, maximise sound quality. Between its Ethernet input and USB output sits a “proprietary printed circuit board” designed with all eyes on electrical noise minimisation that, according to Sonore, makes it a “purpose built audiophile device”. The microRendu product page elaborates a little: “High quality low noise and ultra low noise regulators”. The microRendu’s circuit also includes USB signal regeneration as designed by John Swenson of UpTone Audio Regen fame. Running on top of this audiophile-optimised hardware is a heavily customised version of Fedora linux, tuned by Small Green Computer / Vortexbox’s Andrew Gillis, again for better sound quality. Bringing the two together – and to market – are Jesus Rodriguez and Adrian Lebena of Sonore. Price: US$649. Sonore’s network streamer is free of bells and whistles. There’s no wifi input and no S/PDIF output. No power supply either – we’re invited purchase a third party device at time of ordering. Customers outside the USA are effectively left to BYO. We’ll get to that shortly. In action, the Sonore device is somewhat of a chameleon – it has numerous operational modes, each selectable from the operating system’s web interface. That makes the microRendu configurable from a smartphone, tablet, PC or Mac. We can stream to it using Airplay or with more audiophile-centric client-server software such as HQPlayer, MPD/DLNA and, this commentator’s preference, Roon. For those who prefer to keep their streaming old school and open source, the microRendu can be run as a virtual Squeezebox – one that sounds significantly better than the discontinued (but much missed) Squeezebox Touch. With the corresponding server software installed and running on the now displaced PC or Mac, digital audio is streamed over the LAN to the DAC-connected microRendu. Perhaps more relevant to HQPlayer streaming than any ‘native’ content (should it exist) is the microRendu’s deeply rooted support for hi-res audio: PCM streams up to a whopping 768kHz and DSD up to 512 are all covered. As my new Berlin digs come together, I’m running a pair of ELAC’s Uni-Fi F5 loudspeakers – the slimline Euro version – in conjunction with an almost fully-loaded Vinnie Rossi LIO. Powered by Rossi’s PURE DC-4EVR ultra-capacitor banks, MOSFET-powered loudspeaker and headphone amplification are run off-grid. Ditto DAC and phono stage. Ditto AVC pre-amplification, here connected to a second pair of loudspeakers, the Genelec G Two. Switching between the Fins and the German-Americans is a simple as deactivating the LIO’s MOSFET module with a single front-panel button-push and powering up the Genelec actives from the rear. From my kitchen, an Intel NUC runs Roon (Core) and streams digital audio from a USB-connected 3TB hard drive to either an 11” Macbook Air (also running Roon) or the microRendu running in Roon Ready mode. 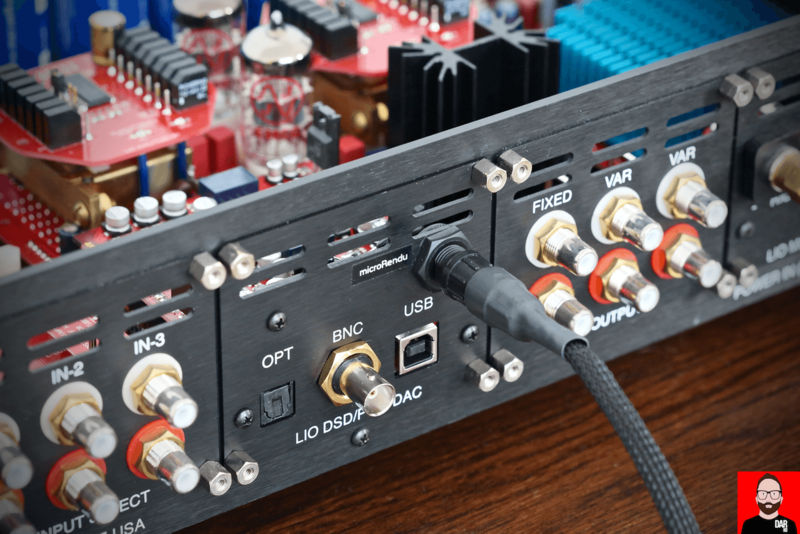 Each streamer is lassoed in turn to the LIO’s DAC module with an AudioQuest Carbon USB cable. The jump from Economy to Premium Economy, from Macbook Air to Sonore microRendu, is effectively a one-way street. Once you’ve (been) upgraded to the microRendu, it’s almost impossible to return to the little Apple and not notice its shortcomings. The Sonore streamer lends music greater separation, more avidity, richer tonality, more micro-dynamic alertness but, perhaps paradoxically, delivered with a greater sense of ease. Sitting somewhere between Apple and the Sonore on aural satisfaction is the AURALiC Aries Mini which additionally offers S/PDIF outputs, very good (for the $) D/A conversion and standalone operation via an externally-connected or internally fitted hard drive. The AURALiC brick can also be run as client AND server; no PC or Mac required. As digital audio transport, the Aries Mini might not sound quite as accomplished as the microRendu but delivers far more functional bang for buck and, therefore, flexibility. For this commentator, a sense of ease – a diminished rigidity in music’s reflexive turns, both macro and micro – is one of the hallmarks of better digital audio. And in my experience this tends to arrive once better digital transports are applied to better DACs. One without the other is a little like fitting a $100 cartridge to a $5000 turntable. Inverting that spend ratio might be the lesser evil. The little Sonore held pole position through both sets of loudspeakers – passive and active – and with different DACs. 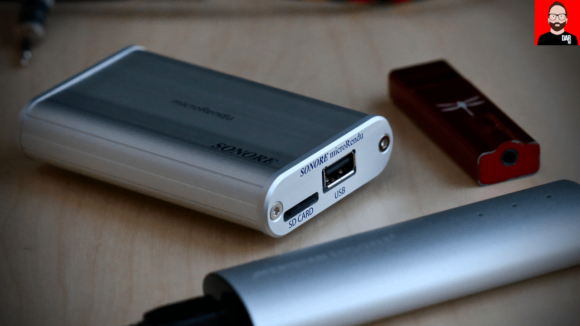 The microRendu convincingly bettered the Macbook Air with both the Meridian Explorer2 and the AudioQuest DragonFly Red. No, I didn’t compare the microRendu to network streamers other than those explicitly mentioned thus far. And whilst I’m heading off comments section disappointment at the pass, no, I didn’t try the microRendu as an MQA passthrough device. However, I did draw this conclusion: David Bowie’s Young Americans, the 2016 remaster, sounds more at ease and less rigid streamed from my hard drive in in ye olde Redbook via Roon + microRendu + DragonFly Red than as MQA + Tidal app + Macbook Air + DragonFly Red. Here, network streamer quality matters more than source encoding method. Also making more of an impact than MQA on music’s sense of ease is quality of the network streamer’s power supply. That a mains-powered microRendu makes music sound tonally richer and more ‘real’ than a battery-powered 11” Macbook Air sticks a boot into the assumption that all battery power sounds superior all the time. ‘Mains-powered’ in this scenario had the microRendu first drink on its required 7V – 9V (min. 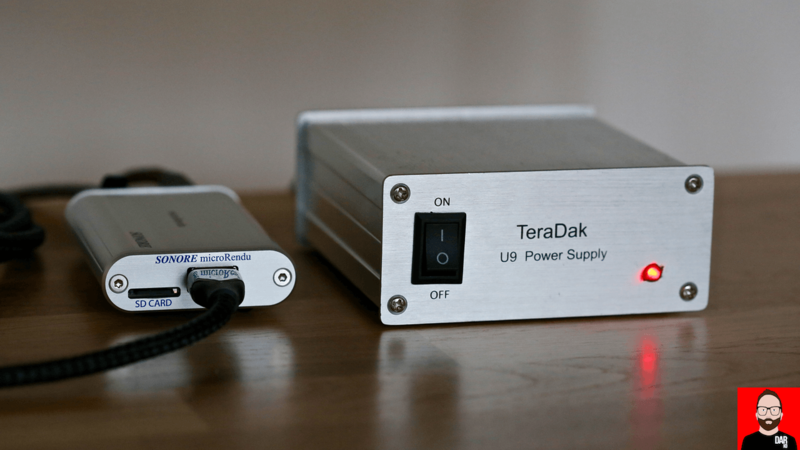 1 amp) from a Teradak linear supply; available for roughly the same coin as iFi Audio’s low-noise iPower switching supply – US$50. On how these two compare, I know not. 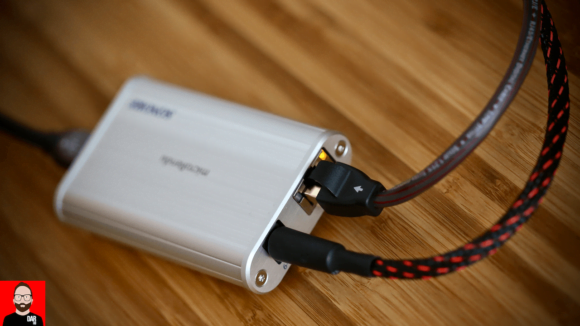 At the spendier end of power supply options sits Sonore’s own linear box. Yours for US$1399 and up. As I journeyed from Sydney to Berlin, the LIO took the long way ‘round, back to homebase for some tweaking from its designer Vinnie Rossi. The audible click as one ultracap bank hands off to the other is now gone. More relevant to this coverage, an addendum to the DAC module: a pipe that juices the microRendu with the LIO’s PURE-DC-4EVR feed. Pricing on this microRendu power option clocks in at US$395 if purchased in conjunction with the LIO DAC module or US$500 without. Instead of Rossi’s USB jumper cable, and in the spirit of consistency, the AudioQuest Carbon remained the USB cable of choice. 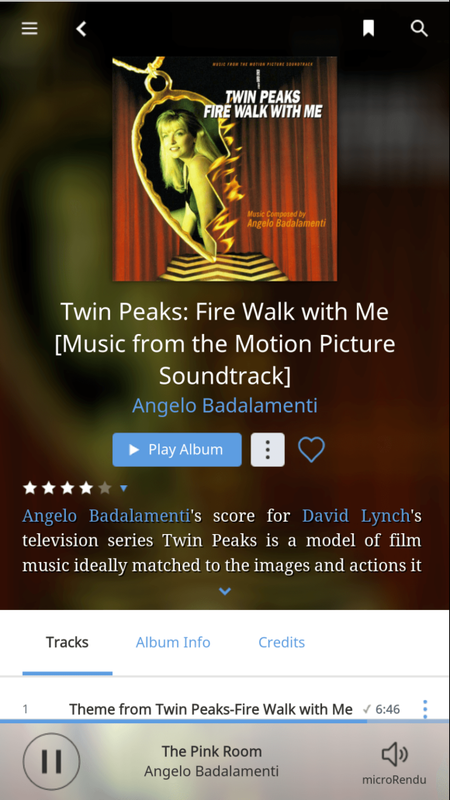 With the microRendu under LIO command, Angelo Badalamenti’s score for Twin Peaks: Fire Walk With Me plays it with more abundant (and organic) nuance and plumper acoustic mass. Tonal colours come into bloom a little more readily. Very nice indeed. Imagine your favourite coffee, damn fine coffee at that, rendered richer in flavour by a fuller fat milk. 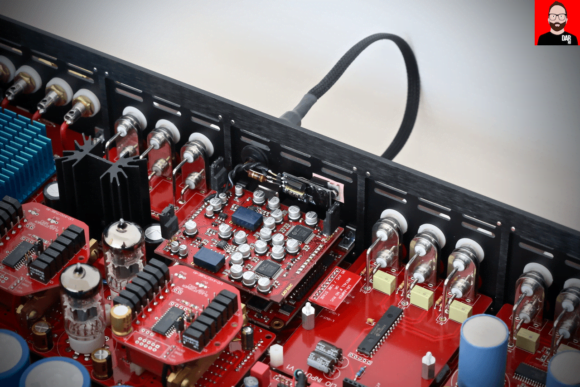 It is in this way that the LIO’s power supply elevates the microRendu’s audible performance. The gotcha here is that the LIO’s microRendu umbilical insists we also use the LIO DAC module. Juicing the microRendu with DC as it feeds a third party DAC isn’t possible. For that we need Rossi’s Mini PURE-DC-4EVR standalone ultracapacitor power supply (US$995) as introduced by the man himself at RMAF 2016. Also noteworthy in this scenario is that the entire playback chain sits decoupled from mains power supply. A single box hifi system immune to wall socket-induced noise. Just add computer server or NAS. Such simplicity jives elegantly with Roon’s ease of setup, configuration and use. Once setup, Sonore’s microRendu is small enough to be tucked away out of sight, even if its power supply isn’t. And it’s the latter that upgrades the listener yet again, this time to business class, where recalling previous time spent in Economy, we wonder how we ever did without. 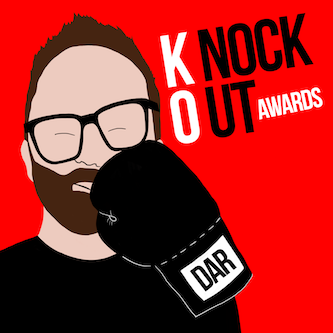 DAR-KO Award guaranteed! I’ve lately been using an Iphone 7 as a transport. I do find it to be better than the previous Iphone iterations as a transport (for Chord Mojo). So, all battery powered sources aren’t the same either. Being a major advocate of simplicity while seeking audiophile utopia, do you see a phone only option to feed the Microrendu? I guess there was is one (Airplay), but could you please spell it out how to configure it for the technology-challenged. Would it still qualify as a “Premium Economy” seat? Since I don’t own a LIO, I’m powering my mRendu with an Uptone Audio LPS-1, which also uses Ultracapacitors and isolates the mR from the wall supply. It’s my third PS for the mR. First was the standard but good quality wall-wart; that sounded good, but the SQ was definitely improved when I moved to the iFi iPower. 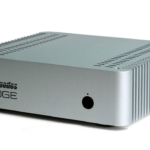 The Uptone LPS-1 is another leap forward. I assume, since the technology is similar, that it sounds similar to your Vinnie Rossi power. It’s small and costs “only” $399, but is more limited in capacity than Vinnie’s unit. 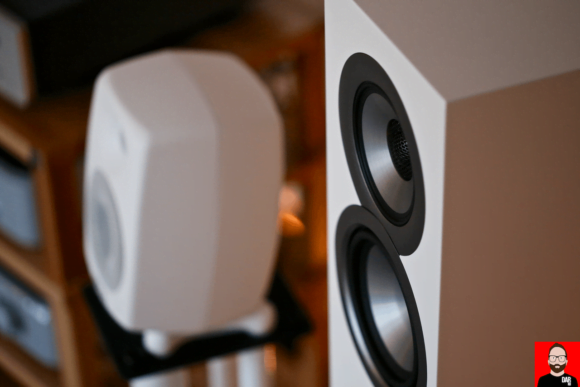 In any case, these devices prove that PS quality and low noise make a difference. First of all let me say how much I enjoy your posts and your consistent updates. It is greatly appreciated. Second, I use computers for my job, all day long and the last thing I wanted to be concerned with when it comes to listening is more computers. Your article above while enlightening exemplifies the never ending search to be able to take output from your computer and increase its Fidelity so as to make it meet audiophile standards. I find this never ending search and tweaking and playing with computer perferpherials to be a detriment to enjoying digital music. That is why I purchased a Bluesound device that takes 95% of the , must learn to play with computers, and down-loads and +++, so that I can enjoy the music. The point of this email is to stress the importance of simplifying the process by which the average joe can enjoy digital music without having to become a computer nerd. I believe there may be many out there who are intimidated or turned off by all of the steps required to turn one’s Apple down-loads into decent music and this is holding back the acceptance/migration to high quality digital. BTW, I understand that Bluesound does not provide the ultimate in digital sound but it is a convenient/inexpensive way to enter the digital world and more and more manufacturers are going this route. Jerry, the mRendu is about as simple as it gets. A few minutes to set it up in your choice of its’ playback modes, and then you forget about it. In essence it functions as an audio appliance, not as a computer. Since almost every household these days has a NAS or a spare computer that can be used as a server, I’m not really understanding how this is making listening subject to “never ending tweaking”. I think what Jerry is getting at is that the Micro Rendu apparently still has to have another computer (or some iteration of that ) sitting upstream. It increases the box count, doesn’t necessarily eliminate the computer from the chain unless you have a dedicated NAS system with compatible software running upstream. And I personally don’t think NAS in the home are that prevalent. Everybody I know streams their content from providers (Apple, Google, Tivo etc…) and/ or utilize local storage or cloud storage. Not saying the MicroRendu isn’t worth it, but I get Jerry’s point. Yes, which is why it was deliberately stated above that the Pc or Mac is moved elsewhere. I even explain how my NUC running Roon sits in the kitchen and streams to the mciroRendu over the network. No I know Darko, your article on the device is crystal clear on the functional capability. And I appreciate you pointing out that the Aries (mini) solution is bit more elegant per se. And I cannot speak to the sonic gains it entails, because I haven’t heard it yet. Seems like everyone who has heard it loves it. I just see where Jerry is coming from. Operating a PC or Mac is a very comfortable, intuitive thing, to most. So the idea of either buying and setting up an ethernet based server or converting an existing computer to a headless server to let a second box share the load seems like making something simple and intuitive more complex. Not saying it doesn’t improve sound quality. The market appears to be saying it does. But like Chris Rock said…. Not sayin its right, “but I understand”. Oh, I see where he is coming from too. Simplicity is important. Just look at Sonos. The microRendu isn’t really aimed at ‘basic’ users i.e. people who don’t feel confident in LAN setup and troubleshooting. Hey Jerry, I’m also from Halifax, NS, that’s a pretty amazing coincidence to see your posting here! At any rate, I think John would have alluded to something similar with the AURALiC Aries Mini as well – much more “plug and play” for sure. But for those that are able/willing to go those extra steps for sound quality (in a similar price range), this Microrendu is incredible. And once you actually get it going (which yeah, could be a bit painful at first- I certainly had some startup challenges myself) it’s almost no work after that – use your app to play your music and your good to go (just like Bluesound). By the way, for those who are not onboard the Roon mothership yet,there’s a sweet option for Android users called BubbleUPnP – run the Bubble server on the microRendu, and the BubbleUPnP App on your Android phone or tablet, and then you can directly stream Tidal from the microRendu (using your phone/tablet as a control app)…no computer even needed! Thanks Rick for adding to this conversation with info on Bubble UPnP. Sincerely appreciated. It is great to stumble across a fellow music lover so close to home. Is there any drop in sound quality when using an android tablet/phone with the microrendu compared with laptop/Roon setup? I have the wireless LS50’s and looking to add the microrendu to them without the added cost of Roon. It’s a good question. What I think you’re mainly comparing there is UPNP protocol vs Roon’s RAAT protocol. I’m sure Roon would argue its RAAT protocol is sound quality, but I’ve read others say they’ve heard no difference. I’ve not compared this myself directly yet because I’ve still not pulled the trigger on Roon. Others on here may have, but I’m sure there are also lots of other forums and sites out there offering an opinion on Roon/RAAT vs. UPNP you may want to Google. I was wondering how thus device can connect with a MacBook Air which does not have an Ethernet port. What is the layout of such a system? Thanks. The microRendu must connect to the home network via Ethernet. The Air connects via wifi. With both connected to the home network, audio can be streamed from the Air to the microRendu. Thanks. When I rebuilt my audio room, I added CAT for this very purpose. Audirvana will be adding the ability to use this device relatively soon and I will give it a whirl. For those of us without CAT throughout the house and the computer placed far away from the main listening room, can you use the Ethernet output of a WIFI repeater to feed the microRendu? I see that this topic was covered in later comments but has anyone had success with such a set-up. I now anticipate that because “The microRendu’s circuit also includes USB signal regeneration as designed by John Swenson of UpTone Audio Regen fame.”, that adding additional USB signal improving devices, particularly those requiting independent power, are more likely to complicate and pollute the sound quality from microRendu than improve upon it. Correct, in fact, John Swenson has stated specifically that the microRendu has an improved Regen built in, so adding an external one between it and the DAC is redundant/unnecessary. I’m assuming the elac speakers will be reviewed in the near future! Quit looking forward to that. Best regards. Alas, you assume incorrectly. Sorry. No worries. A shame though. These will be bestsellers this year i believe. Might also have attracted some new readers. Keep up the good work. Great site – I visit it daily. I have used a Squeezebox Touch with the EDO mod for years. It feeds a USB DAC. Performance is very good. I am intrigued with your assessment that the microRendu “sounds significantly better” than the Touch. My first question is, could the microRendu be used successfully with some sort of WiFi dongle? My listening is never done near my computer/server and running Ethernet cabling is not possible. I stream 44/16 and 96/24 files across my Wi-Fi with no hiccups. The few 192/24 files I have stream OK too, but I really have no intention of moving higher than 96/24 or to DSD. So my second question is, would the microRendu really make for higher sound quality than the Squeezebox at my preferred bit rates? Yes, the micorRendu sounds quite a bit better than a SB. Want to improve the latter? Get an iFI Audio SpDif ipurifier. In my house, I use ethernet over mains power adaptors to sidestep long cable runs. John, thanks for the response. Being I use the Touch EDO mod to get USB output (which does provide considerably better SQ than the coaxial or optical outputs, at least with my DAC) I assume that you meant to recommend the iFi iPurifier model designed for USB. I will definitely look into that. Or did you mean I should abandon the USB output and switch to the S/PDIF with the iFi S/PDIF iPurifier? Being a simpler device the SB has much less potential for this internal EMI interference than does a computer, and the EDO mod shuts down non-essential circuits in the Touch, further eliminating sources of extraneous noise. Would the iPurifier still provide a reasonable positive impact on SQ or would I be running into the law of diminishing returns? WiFi dongle? – I was referring to devices like this IOGEAR device. I have looked into the Ethernet-over-mains setup. My problem is I would need 7 output points around my house. My listening is done on a headphone system that is “semi portable”, with everything sitting on a small audio rack that I can easily pick it up and move to a spot in the house that is quieter and/or less disruptive to others. The cost of 7 output points along with the fact that my WiFi has always worked everywhere without any dropouts, has kept me from pursuing this. Also, I have read that Ethernet-over-mains can have problems when the sender and receiver are on different mains circuits – which would always be the case in my house. There a huge, and I mean very huge, lift in SQ by powering the SBT with the LPS-1, and probably a Winnie as well. If you own a SBT, buy the LPS-1 before the MicroRendu. (You need an adapter, so you should request that, or get an advice what to purchase when order). I also use a powerline ethernet adapter (aka HomePNA) near my microRendu (the other end is near my main internet router), and then run a short ethernet cable between each – actually took 5 mins to put that in place (and much cheaper and more feasible than running ethernet all the way from the router). I’ve heard of others using an Apple Airport connected to your main network via Wi-Fi, and then ethernet cable from the Airport to the microRendu (not an Apple guy, so know nothing about this device). You could also do the same I believe with a “Wi-Fi extender” nearby the microRendu as long as it has at least 1 ethernet port you can run a cable from as well. Bottom line, you’ve got to somehow extend your home network in some way to the point where you can run an ethernet cable out to the Rendu. Speakers, amp, dac, microRendu + lps. After adding microRendu and LPS-1 to my system Tidal and Qobuz sounded better than music from my NAS. So next in line is the network: cabling, switch, (optical) isolation. I decided to upgrade the NAS first. Synology ds112 to ds116. This really makes an audible difference. It seems the ds112 was over taxed transcoding all files to wav. For ds116 transcoding to wav 24bit is a breeze. I can listen to my NAS (with Minimserver) again. Even old iTunes files seem to sound better than they did before. Should I upgrade to Blue Jeans cat cable next? I’ve been firmly seated in the economy sections for about 10 years now. I started with rhapsody running on a desktop through a music hall mambo with an integrated dac and now I’m using a laptop running Tidal connected via usb to a Peachtree Nova 125. This article has peaked my interest in adding something between the laptop and the Nova that might move me out of economy. My question is, can I connect my laptop to the microRendu via usb and then onto my Nova and still use Tidal as my music source? Or do I have to go through Roon? I rely entirely on Tidal for music (I don’t have a huge collection of high quality downloads) and while I’ve tried Roon, I think it basically just a redundant interface for me since I only stream through Tidal. Any recommendations? The microrendu is a network streamer, not a USB device. Yes, it has a USB output but audio must be sent to it over the network. You could connect the microRendu to the Nova’s USB and then stream to it over the network from your laptop. For the Tidal app, you’d probably use Airplay but Roon is a more elegant solution I feel. this a growing but somewhat nebulous area for many of us…before it was just get a good quality DAC to help makes USB audio sound great…now it’s also about adding a streamer (audiophile USB?) to replace the stock computer USB…not easy to navigate with the funds involved, esp once you add in some ‘linear’ power source. I am a huge fan of yours. You have opened my eyes to so many new products. Currently deciding between the Sonore microRendu versus the Auralic Aries. I am leaning towards the Auralic Aries and wanted to run my logic by you. Initially the Auralic Aries looks more expensive so by the time you factor in the cost of the optional power supply (Sonore Signature Series Power Supply – $1,399 / $1,589) I am at a much larger investment. Secondly, if money were not object I would like to get the Aurender n1000H, but based on the reviews that I have read the Aries can hold its own against the pricier Aurdender. PS for mRendu: Uptone Audio LPS-1, $399 US. Ultracapacitor PS. many thanks…if anyone on here has done any SQ, or cost comparative analysis between an Aries setup vs the microrendu, please do share….will be interesting to see how this new field matures etc over the coming yrs. I’ve been quite happy having moved from an Aurender N10 to a combination of MacMini Ethernet out to Cisco switch and connecting to the microRendu with Sonore Signature LPS then to a Berkeley Alpha USB to the Berkeley Ref. DAC. A USB attached drive to MacMini provides the music and played by Roon Core running on the MacMini. I’m always trying to figure out how to simplify things, yet keep the sonics at the highest level. I’m wondering whether a different music player exists that would serve this function, which is also designed to be a music server, rather than general purpose device. I’ve done what I can to mitigate the typical Apple Sierra functions not needed for music playback. There’s a bit of this that doesn’t make sense to me. It appears that there is no wifi input, but it can act as an AirPlay endpoint. Does it only act as a Roon Ready device through Ethernet? As per the review text, the ONLY input is Ethernet. This is how it connects to the home network. Once connected, audio can be streamed to it via all manner of protocols: AirPlay (via Shairport) and Roon’s RAAT. I’ve been usng the microRendu since the first production run last year. It certainly is an excellent sounding and simple to use device. Started out with the ifi power supply, and upgraded to a Channel Islands Audio 9v power supply. It works in serveral modes. For the most part I use it in Roon Ready mode, and occasionally NAA mode with the Signalyst HQ player software in conjunction with Roon. Updates are easily completed via ethernet. Sonore support from Jesus is excellent. This one’s a winner at a very reasonable price. Always enjoy and value your take on any given component. The Microrendu has been on my ‘bucket list’ due to it’s high value to cost quotient. You can blame my bad back for the following editorial comment. The Vinnie Rossi LIO option you refer to, i.e. the DSD/PCM DAC module with Sonore microRendu power output only, costs $395.00 and not $500 as stated in the review. I mention this not to be picayune, but because of what I perceive as your focus of bringing high quality sound to the ‘man on the street’. Perhaps, this is an overstatement, but from reading your reviews and other posts, you seems focused on equipment under $10,000. Whether or not, this is what the average home consumer is willing to pay is open for debate. But regardless, that’s $105.00 that could be allocated elsewhere – say, towards the purchase of a Microrendu. Plus, I believe that makes the BYOD option viable. However, there is still the problem of powering the DAC you brought to the party. Of course if you have a small DAC like the Chord Mojo, you could simply charge it up and run off the battery. That would preserve separation from the power grid. Perhaps, the tone of the Mojo isn’t quite as fleshed out (thinner tonal mass) as say a Schitt Gungnir, but they do reside in the same division (Division 2) of the Darko DAC Index and the Multibit version of Gunghir costs $650.00 more and requires 115 Volt AC to power it. I know this is one person’s opinion: “salt to taste”, and besides, I don’t know into which division you would have placed the LIO’s DSD/PCM DAC module. When you reviewed LIO DAC module, you did “draw a direct line between the Schiit’s euphony [admittedly as represented by the Multibit BiFrost] and the Chord’s keen-but-lean resolve [admittedly as represented by the Hugo]…” with the LIO decoder placing “itself two thirds of the way towards the battery-powered brick.” I know by your own review comparison that I’m comparing zesty lemons (Chord) to say a blood orange (Schiit), but at least I’m staying in the citrus family. Comparisons are inevitable, even the lemons to orange kind. Returning to tonal mass for a moment, one could rosy up the cheeks of the Mojo by adding some color from the LIO’s tube preamp(s) [your choice of three depending on taste and budget] while maintaining the “…Brit’s X-ray detail…”. But, I digress. Sorry for the back babble. I’m interested in your thoughts and as always, I immensely enjoyed your writing. The µR is easily the best upgrade I’ve made to my digital front-end. For $395, the Uptone Audio LPS-1 is a no-brainer upgrade. My turntable has been getting FAR less use since receiving my µR. I believe the SOTM sms-200 is another viable option as well, as per this review: https://youtu.be/TV-FvRF9KGA. It is certainly a lesser costly option. And the achievable sound quality seems to be at least on the level of the microRendu, if not higher. 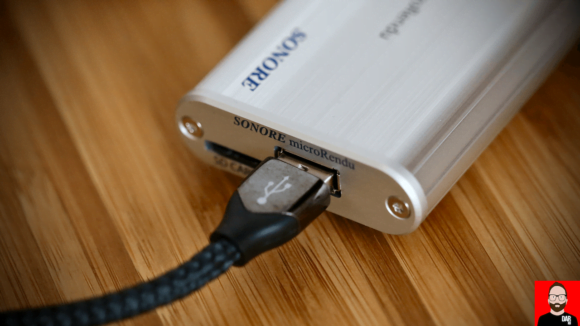 Hi, I am a long time reader of your DAR, I read a lot of positive reviews of Sonore’s microRendu, I am not suspect its ability to offer superior sound quality, I actually want to get one. Hey Jim. I did not compare the microrendu to anything other than that mentioned above. I even explicitly said as much. That includes JRiver which I do not use. I love it! I want it! I have no idea how it integrates into a system. JD, a simple diagram would be great. I am the line from Jackson Browne’s Late For The Sky…”I’m just 1 or 2 years and a couple of changes behind you”. I have downloaded in lossless, docked my Ipods to Wadia, with CI power supplies, Ifi reclockers. I am ready for the next move…yet, my computer is in another room. I do not have a wireless bridge…how does it all configure? Does a 11 Macbook AIR have good sound? not sure what the mention was about it. 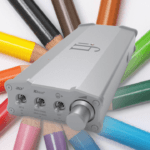 The UpTone Audio LPS-1 at $399 is the preferred power supply for the microRendu as it is galvanically isolated, unlike the Sonore Signature Series Power Supply. It was also designed with the microRendu by the same designer named John Swenson, with the microRendu in mind. These two devices in combination will match the sound quality of most competitive solutions at any price level. Hello to everyone who responded to and expanded on my initial comments. The point I was looking to make was I think the KISS principal applies to Digital music as it does to most things in life. Further it is my belief that the manufacturer who best executes on the KISS principle stands to benefit handsomely because there are millions of baby boomers out there who enjoy music but are either intimated by or could’ve be bothered to master all of the necessary steps required to enjoy the highest quality digital music. To build on the “how simple it is” to enjoy digital music comment, one needs to remember that not everyone comes from a place of network literacy. I think the musical chain needs the following : MAC or PC or Android device, software that improves the inherent poor quality audio that these devices includes, then MHQ ? Software , then Roon, and MQA and a Salk NAS, and a MicroRendu or similar device and an upgraded device that can handle MQA and ++++. Dropping a needle on a vinyl album sounds pretty straightforward in comparison. John, fantastic review…I really appreciate it. We teamed up with Vinnie last year…he is a great guy and is making wonderful products. 1. With the microRendu in DLNA output mode you can use a mobile phone to stream lossless 16/44.1 via Tidal and Qobuz to the microRendu. 2. With the microRendu in SqueezeLite output mode and with the onboard Logitech Media Server app installed you can play internet radio stations for free along with several pay internet streaming services like Spotify just to name one. Not sure if John allows external links here, but I can provide them upon request as needed to show you how this is done. Yup – hit us with the links Jesus. Yes, you can also AirPlay from an iOS device but I think in the majority of user cases, a computer is required. I believe all of the comments springing from your original post, along with differing opinions, and alternate approaches only serves to confirm the point(s) I was attempting to make in my initial comment. luckily there is a HUGE forum for the Microrendu, John….lots of helpful threads on any number of related topics to the microrendu. now considering adding the uptone lps1 power supply. and how this tech works. Here is the how to guide on how to set up Tidal and Qobuz on the microRendu for streaming with your mobile device as the controller. One setup is for Android and the other is for iOS. 1. Go to Apps / App Switcher and select SqueezeLite as the output mode. 2. Go to Apps / Software manager and Install LMS. 3. Go to Apps and select LMS to open it. 4. Now select Radio / Local Radio and pick a radio station. For internet streaming with pay services go to Settings / Plugins and install the appropriate plug-in. You will have to enter your username and password. hi Jesus, how do I go about streaming Spotify Premium from my iOS device to the mR please? Thank you John. I realized that I have to install the shareport app first so that my iOS device can connect to the mR.
I’m in total agreement with Jerry B and his comments about computer-based audio. Just this week I had a free sample of ROON, a new dragonfly red and USB audio Pro all set up on my laptop. – was very excited and all I got was buzzing and electronic noises which my Googling tells me are generated by the computer. I downloaded some software of some sort (Fidelizer) that was supposed to fix that by giving priority to audio processing on the laptop – not sure it did anything. I’ve moved onto a Kindle Fire tablet, USB audio Pro,dragonfly red, Tidal and life is simple and sounds good. Maybe I’ll try an Aries mini next as long as I can keep a computer out of the chain. That’s right – the microRendu and its ilk are not really aimed at beginner computer audio users. Some basic IT knowledge is required, especially with troubleshooting. To my ears a Curious USB Cable is an excellent pairing with a µRendu. Sounds great feeding a Devialet Expert D800. Can the direct DLNA route to Microrendu (avoiding a computer or NAS) work with IOS too for Tidal ? Between DLNA and Airplay, which one sounds better ? Are both bit-perfect ? Answers the these basic questions will help decide whether one can easily play Tidal on Microrendu and get bit perfect quality. I’m pretty sure DLNA-direct a la Bubble UPnP is Android only. I’ve not used it so cannot speak to its SQ or bit perfect capabilities. Perhaps someone else can chime in here? Is the MicroRendu equivalent to the PS Audio LAN Rover? If not, can you contrast the two products? Thanks for exploring and reporting, John. It is interesting that several very good products achieve excellent results “breaking” the USB feed FROM THE COMPUTER, even though they re-introduce USB later in the chain. Sonore microRendu and PS Audio LANRover for example. (Not saying their approach is the same, just that they both break that chain). Sort of suggests that USB per se is not the culprit. Several of us Seattle (and elsewhere) head-fiers have also clipped that cord with Dante based Ethernet, no USB in sight. It’s not a “made for consumer” product at this point, but I couldn’t be happier feeding my Yggy this way. Our first meet of 2017 is coming up, and I know there will be Ethernet connections all over the place. Agree with everything you said about the Microrendu. For some (including me) stringing Ethernet cabling in an old building is near impossible. My setup works great with Ethernet over power line (the D-Link AV2000, I think). My first attempt was with an Ethernet Wi-Fi adapter which failed miserably with dropouts. I’ll probably never try the Vinnie Rosie stand alone power supply. $1000 is too much for me. The fuller fat in my milk was the UpTone Audio LPS-1 capacitor power supply ($400). My Ayre DAC’s so happy it’s singing. I keep my Intel NUC in the kitchen so that I’m not forced to tolerare the sound of the external HDD spinning (up). The ambient noise floor in my Berlin apartment is VERY low. Antipodes licenses the operating system from Andrew and I. As such, I’ll remain from direct comparisons between our products. Any reason for me to avoid feeding a microRendu with my ethernet-equipped iMac running Roon (with 3TB external hard drive attached via USB)? In the network domain does the iMac provide a “noisier” signal than does the Intel NUC? Great question! I don’t know but I’d imagine for all but uber high-enders any audible differences would be teeny tiny. Don’t know if I’ve seen NUC vs iMac compared for SQ (I’m sure there are likely folks who have tried this, if you Google it), however there are definitely some people that feel Windows 10 OS is very noisy with bad default drivers, and incapable of doing “bit-perfect” output even from server software that is supposed to achieve this. Apparently Linux is considered far better in this regard, and since MacOS is based on UNIX (or Linux, can’t recall) it may as well. Would it be possible to stream to the MicroRendu from a Naim Unitiserve, both connected to a switch? Is this device a DLNA server? If yes, then yes you can. You would need a DLNA controller to orchestrate things. Hm, not sure about this… there is no mentioning of DLNA in the product manual, only UPnP. But I guess DLNA is a subset of UPnP? John – you’re article points out that the microRendu software was provided by Andrew Gillis. I’ve been using his sonicTransporter music servers with great results as well. I believe they run off the same or similar operating system as the microRendu. I use the sonicTransport with both a microRendu and another music player running Roon RATT. Both music playback systems sound Great. And fantastic to have my home computer out of the equation. Roon is now much more convenient (always on) and sounds much better. ”To be honest, “bang for buck” isn’t what springs to mind with that box, either. quite the opposite. Bang for buck is sticking a decent digital hat and a copy of Volumio (or similar) on a raspberry pi, and maybe throwing either a linear power supply or at a pinch, an iPower into the mix, then using decent but sensibly-priced cables to and from your DAC. It’s not particularly hard, even if you’re not used to Linux- can be done in half an hour or less, without really needing to know much. The thing is – in my experience, a lot of these home made solutions just don’t sound as good. So SPDIF (which is basically the consumer version of AES) has been around and implemented in network-based streamers since day one, yet along comes this device, and virtually every digital audio site out there that reviews it (Audiostream, Computer Audiophile, Avrev, HbProject, DAR, etc) say it’s either the best they’ve heard, or very near, and ESPECIALLY for the price. With almost all digital audio technology, it’s not the standard or the spec that matters, but rather the IMPLEMENTATION, and this one is very good indeed. when i reached out to uptone on this issue (spdif vs aes/usb) their helpful reply:I will say only this: The music has to come out of your computer somehow–USB or Ethernet, unless you want to do something awful like putting a PCIe sound card in the computer and having the clocks in the computer (yuck!). All the DAC really wants is an I2S signal. People using S/PDIF or AES into their DACs (and manufacturers who recommend that) are admitting that they do not know haw to design a decent USB>I2S board (or Ethernet>I2S). And they are also forcing people to almost abandon their DACs nice clocks as the master (S/PDIF and AES have clock embedded in the signal and has to be reclocked asynchronously by the DAC). So an external USB>S/PDIF converter is just an excuse to cover for a lousy but more direct USB>I2S interface. Certainly an Ethernet>S/PDIF renderer can be designed, but I promise that the crap clocks on a Raspberry Pi S/PDIF “hat” are not going to create a worthwhile output. Not to mention that the microRendu’s computer design itself is much more advanced that an RPi. That’s my 2 cents. I have listened to a LOT of converters and been part of a lot of product development cycles. State of the art reproduction does not come cheap. I am sure you will find your way and what works for you and your needs and budget. Very good info there. Seems like USB in fact is a much straight forward output from a computer to a DAC. Thanks for that. well the microrendu came in today…just placed an order for the uptone ultracap lps1 power supply….now it’s a matter of figuring it all out from my one laptop (has music) that is on wls (adsl modem is upstairs, hardwired)….so i’ll get a few ethernets jacks installed and then I should be all set. Darko: Excellent, insightful and well-written review. Jerry Belben: A great point. Count me, for one, to ask ‘What’s all the fuss’ about –and is it really worth all the trouble, effort and uncertainty ? Seriously, after all that trouble, compatabilty, varying choices and implementations, is it reall y better than my quality (audiophile) CDP, proper (Balanced/Symmetrical) AC power supply (for my sources), fine cables & set-up ? Better yet, plug your digital (say, old-fashined CDP or Transport/DAC) gear into a 300-watt AC power re-generatror such as Core Power Technology’s (or PS Audio’s?) and discover “digital” like you never thought possible ! It can sound fantastic !! Heck, if folks are (re?) purcasing vinyl, tables, arms and cartridges, why not elevate the digital experience to its finest level –for, make no mistake, with excellent equipment and AC-power considerations, digital (Red-Book) can and does sound wonderful. As would higher-resolution; 20-bit/88.2/96 KHz. That resolution is (arguably) all that is required –ask the brilliant Robert (Bob) Stuart for re-asuarnce (in fact validation) if requied. Or, simply listen. 24-bit, 32-bit, 192 KHz and above, really ? Even today, such resolution is not only impractical and costly to implement accurately (i.e. re-construct the signal –accurately), but also unnecessary. What A/D convertors of 24/176.4/196 Khz even exist in te recording marketplace–or actaully used for recordings ?